Bible Verses with Pictures to share on Facebook, Twitter, Pinterest, Instagram, etc. Enjoy the pictures below. Read and Listen to Verses of Victory every day for 21 days. Learn to speak God's Word, and believe God's Promises! You will feel better and happier. God is ready to BLESS you! The Bible says, "Be transformed by the renewing of your mind (Romans 12:2)." Verses of Victory will help you to stay focused on God, and receive His many Blessings! Click any subject to the right for more Pictures & Videos. Check out the 2 FREE Video Samples Below. Includes the Best Prayers in the Bible! Psalms 9:1-2 I will praise thee, O LORD, with my whole heart; I will show forth all thy marvelous works. 2 I will be glad and rejoice in thee: I will sing praise to thy name, O thou most High. We find the Bible’s first song in Exodus 15:1-2 Then sang Moses and the children of Israel this song unto the LORD, and spoke, saying, I will sing unto the LORD, for he hath triumphed gloriously: the horse and his rider hath he thrown into the sea. 2 The LORD is my strength and song, and he is become my salvation: he is my God, and I will prepare him a habitation; my father's God, and I will exalt him. Psalms 71:8 Let my mouth be filled with thy praise and with thy honor all the day. Psalms 8:9 O LORD our Lord, how excellent is thy name in all the earth! Isaiah 9:6 For unto us a child is born, unto us a son is given: and the government shall be upon his shoulder: and his name shall be called Wonderful, Counselor, The mighty God, The everlasting Father, The Prince of Peace. Jesus said in Mark 12:30-31 And thou shalt love the Lord thy God with all thy heart, and with all thy soul, and with all thy mind, and with all thy strength: this is the first commandment. 31 And the second is like, namely this, Thou shalt love thy neighbor as thyself. There is none other commandment greater than these. Describing Jesus, John 1:1-3 says, “In the beginning was the Word, and the Word was with God, and the Word was God. 2 The same was in the beginning with God. 3 All things were made by him; and without him was not any thing made that was made.” John 1:14 And the Word was made flesh, and dwelt among us, (and we beheld his glory, the glory as of the only begotten of the Father,) full of grace and truth. Revelation 21:6-7 And (Jesus) said unto me, It is done. I am Alpha and Omega, the beginning and the end. I will give unto him that is athirst of the fountain of the water of life freely. 7 He that overcometh shall inherit all things; and I will be his God, and he shall be my son. Jesus also said in Revelation 22:13 I am Alpha and Omega, the beginning and the end, the first and the last. Psalms 118:28 Thou art my God, and I will praise thee: thou art my God, I will exalt thee. FREE - Press play - Only 5 minutes - Enjoy! Buy the FULL VIDEO, audio, or eBook here. Watching daily will encourage you, bless you, and build your faith. The 101 Most Inspirational and Encouraging Prayers in the Bible! POWERFUL Praise & Worship Bible Verses - very uplifting! Reveal the Names, Promises, and Power of God and Jesus! For your Kindle, Nook, Computer, IPhone, IPad, Tablet, etc! High Quality HD videos with Beautiful Pictures and classical music! Make the Bible come alive with Verses of Victory! Great for Relaxing, morning routine, workouts, driving, inspiration, etc. 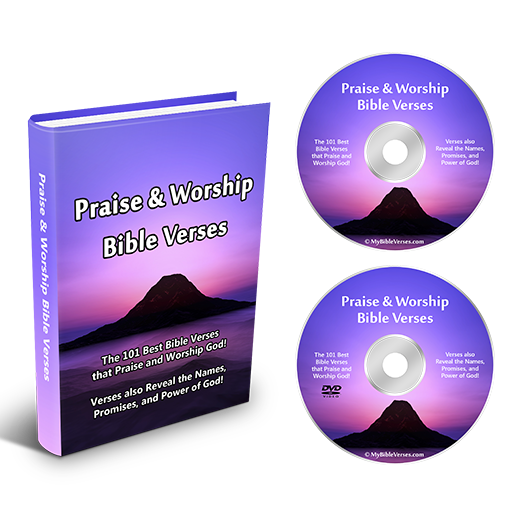 Enjoy Praise and Worship Bible Verses with the most encouraging and inspirational prayers from the Bible. The Verses also Reveal the Names, Promises, and Power of God and Jesus! Includes some of the Best Prayers directly from the Bible! Listening daily will help you stay focused on God and His Word throughout your day. Be blessed with our Special Offer.